A culture of hand cleansing is vital to prevent the spreading of germs both in work and at home. 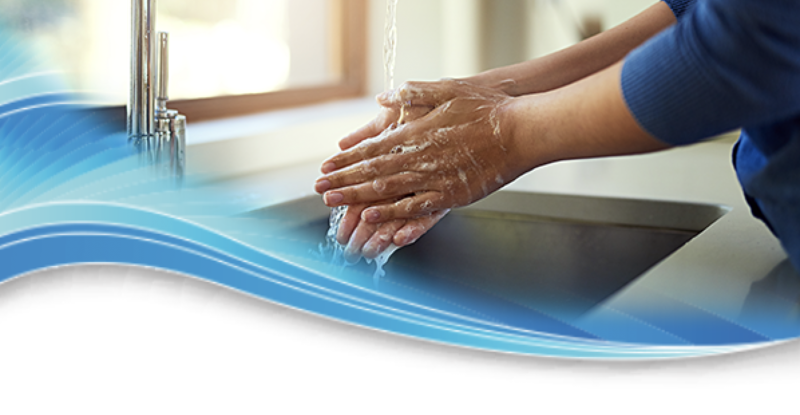 We all know that keeping your hands clean is one of the most important steps we can take to avoid getting sick and spreading germs to others. Whether they’re brought in from home or public transport, your workplace is a great place for sharing bacteria and viruses. Germs spread quickly from one person to the next, from stomach-churning food poisoning bacteria such as Salmonella, E. coli, to viruses like, colds and flu. These kinds of germs can get onto the hands easily and when not washed off, they can be passed from one person to another. – People frequently touch their eyes, noses and mouth without even realising it and the germs get into the body as a result. – Germs from unwashed hands can get into foods and drinks – just think of the number of people refilling their bottles at the water cooler!. – Germs from unwashed hands can be transferred to other objects that we touch on a daily basis like, handrails, phones, computer, keyboard, mouse and then transferred to another person’s hands. – Reduce the number of sick days in your workplace. – Provide a more pleasant and hygienic work space for your employees. – Increase customer satisfaction, presenting them with a hygienic washroom experience when they are on site. 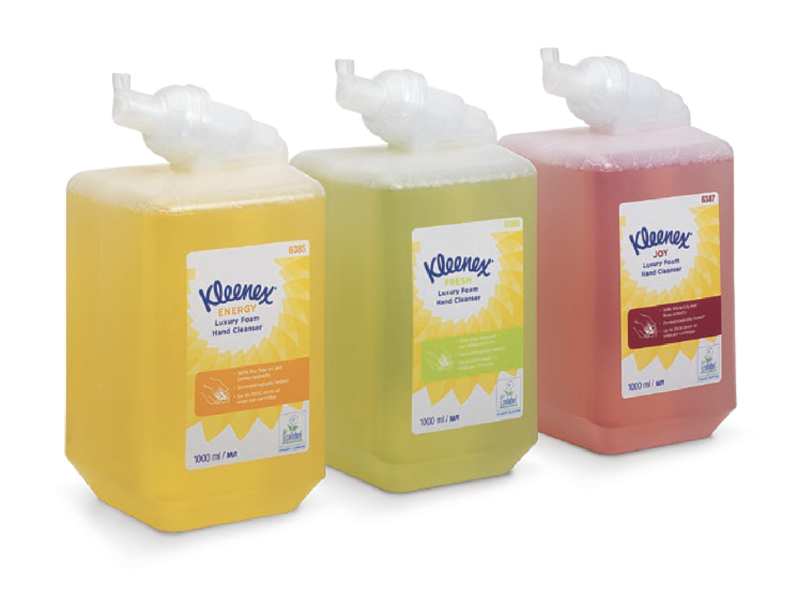 This World Hand Hygiene Day – 5thMay 2019 give your customers and employees a little luxury with the Kleenex Botanics Luxury Foam Hand Cleansers range from Kimberly Clark Professional. Specially formulated for frequent use hand washing, the Kleenex Botanics Hand Cleanser range leaves hands feeling moisturised whilst the harmonised fragrance choices have been carefully developed to offer an uplifting sensory experience.